Got a mauve turtleneck needing dressed up? This lovely Multicolored Pearl Necklace, Earrings and Bracelet is just what you need. This blue shell pendant is unique. 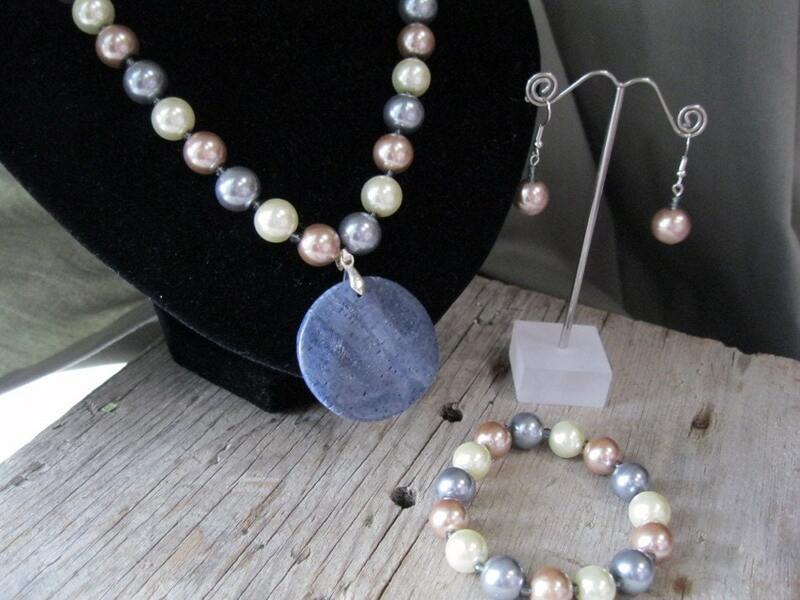 It is highlighted with lovely blue, white and rose colored pearls. Blue glass seed beads are used as spacers and sparkle. The necklace measures 19 inches and a decorative toggle clasp is used. The pendant is 1 1/2 inches tall and wide. Matching stretch bracelet makes for easy slip on and off. Rose pearl earrings dangle 3/4 inch. Multicolored pearl strands are all the rage right now. Snag this one up! Fluture et Fleur - What's new? Flower Forest!